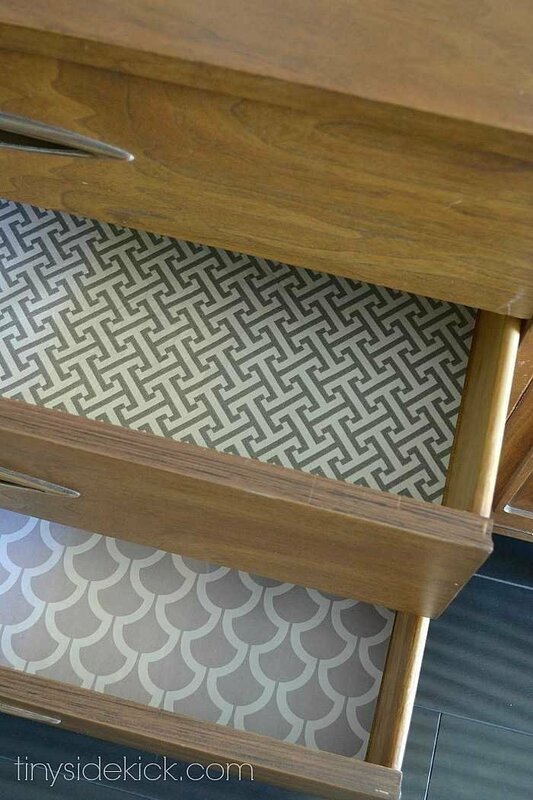 Today we are talking fabric lined drawers. One, because I have a fabric problem and I need to come up with ways to use my leftover fabric so I don’t feel weird buying more. And two, because putting the finishing touches on my entryway has been on my list since I found this beautiful credenza a bit over a year ago. This is the spot where we come and go, usually with my hands (and arms) full of kids or kid related stuff. Without this space fully functioning we would be forced to leave the house without shoes because lord knows they would be strewn about the house and we just wouldn’t have time to find them. So since this little spot in my home is so important, I wanted to pretty it up a bit, and fabric lined drawers are the perfect way to do that right? I know some of you are probably thinking, who looks in those drawers anyway if they are just for your shoes and keys and random stuff? I do. And I really enjoy a pattern, especially in an unexpected spot. Also, I’ve started to do little details just for me, cause it makes me happy. This is one of those. 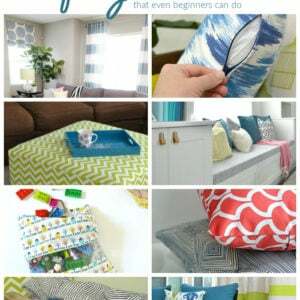 And it was so super simple, you’ll want to add some happy pattern to your drawers too. I’m sure of it. This post contains affiliate links for your convenience. Click here to read my full disclosure. 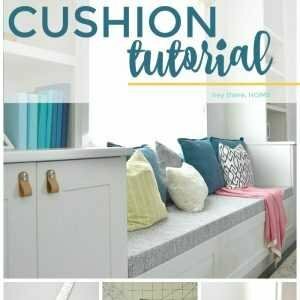 1- Cut your fabric pieces a few inches larger than the bottom of the drawer you are working on. These lines don’t have to be exact or even very straight. You’ll make your final cuts later. 2- In a bowl, mix equal parts stiffy and water. 3- Dunk your pieces of fabric until they are well saturated. I started by folding my pieces of fabric, but found that the liquid wasn’t getting between the folds very well so I had to unfold and dunk portions at time. What ever you do, don’t squeeze your fabric because you don’t want to create creases or wrinkles at this point. 4- You want your fabric to be saturated, but not too drippy. And because you can’t wring out your fabic (remember no wrinkles,) I found that I had to sort of shake out my piece of fabric over my grass. Sorta like you do when you are folding a blanket or towel. It is a little bit messy, but as long as you don’t shake to hard you’ll be fine. 5- Lay each piece flat to dry. 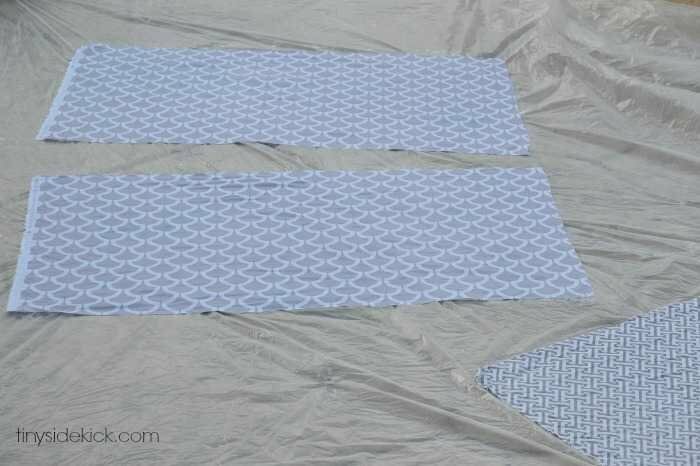 I laid mine out on a plastic drop cloth hoping that they would dry in time for me to bring them in at night cause ideally you want to iron each piece just before it is completely dry. That didn’t happen and I had to drag the drop cloth into the house at night to continue drying knowing that I would probably wake up to completely dry and not so smooth pieces. Don’t worry, I found a solution for this, so just let yours dry completely if you need to. 6- Iron each piece just before it is completely dry OR if you are like me and your timing was completely off, iron your completely dry pieces using the steam function. This will put just enough moisture back into the project to make each piece nice and smooth. Lay them flat again for a little bit longer so that this time they dry and are smooth. Your pieces of fabric should feel about like card stock once they are dry. 7-Take really good measurements of your drawer bottoms and cut each piece to fit. 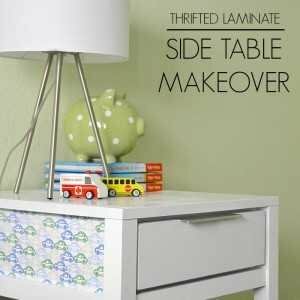 It is best to have to trim them down a little bit to lay flat in the drawer, so don’t go too small to begin with. The easiest way to get really clean edges is to use a rotary fabric cutting tool* and cutting mat*. 8- Lay them in your drawers! I guess you could use double sided tape to keep them in place if you want to, but I didn’t have a need for that. Mine stayed put just fine and I like that I’ll be able to take them out and dust them off on occasion since 2 of the drawers house my kiddos shoes, and therefore a ton of sand. Isn’t that a fun pop of unexpected? 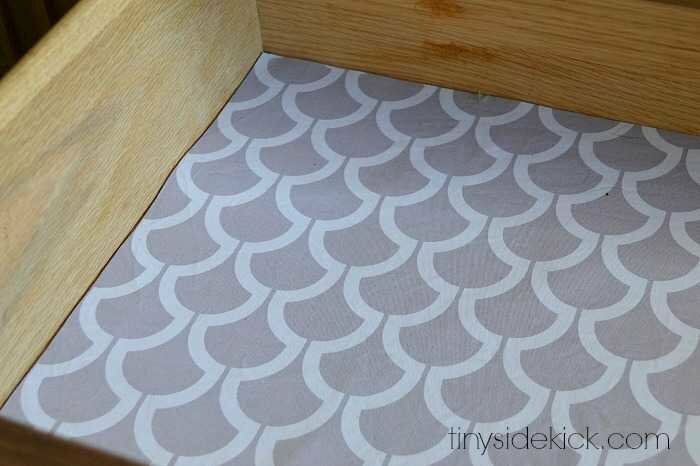 You know you want some fabric lined drawers now…don’t cha? I’ll be revealing this little spot soon! Thanks for being here! Hi, Corey. 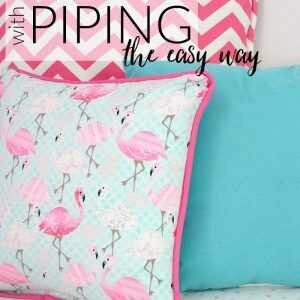 Thank you so much for sharing your easy-to-follow drawer lining technique! 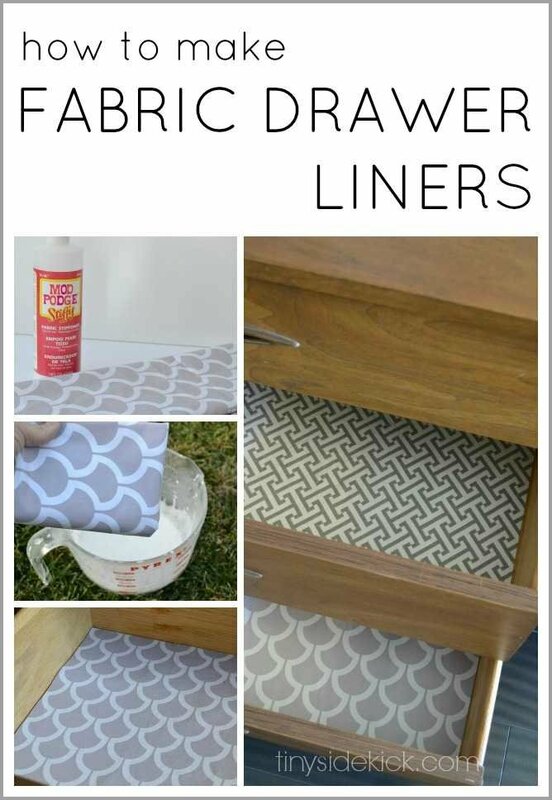 It’s my go to guide for the liners in all the drawers of my up-cycled furniture. I’ve managed to tweak the “shake/dry” step by laying the fabric flat and using a sponge applicator, paint the Stiffy on. This way I can control the liquid and lay the fabric flat to paint both sides. Then I just let them sit outside until almost dry, bring them inside for ironing. They look great! Thanks Susan for sharing your tips! 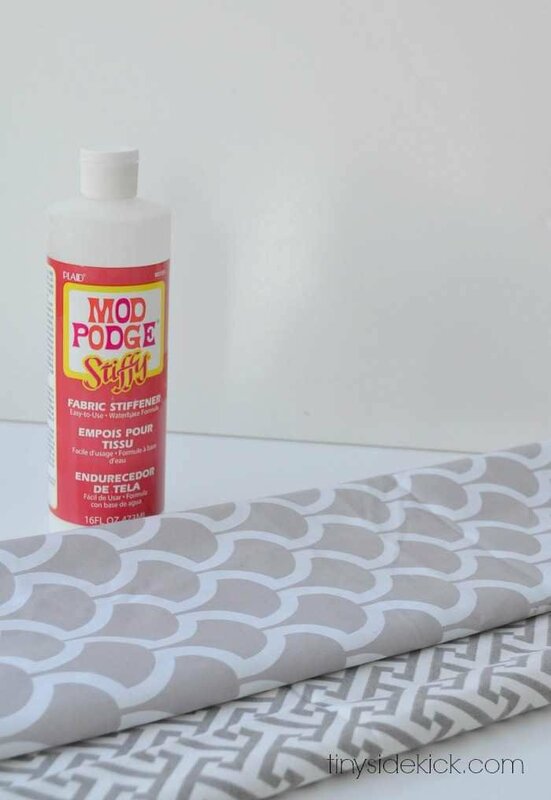 Hi Carey – I’ve been looking for a nontoxic shelf liner forever and this sounds like a great idea (I’ve read Mod Podge is certified “safe”), but I’m wondering how you can clean this stiff fabric? I’d like to use it in my kitchen and bathroom, but those shelves/drawers definitely need a wet wipe sometimes. Thanks. 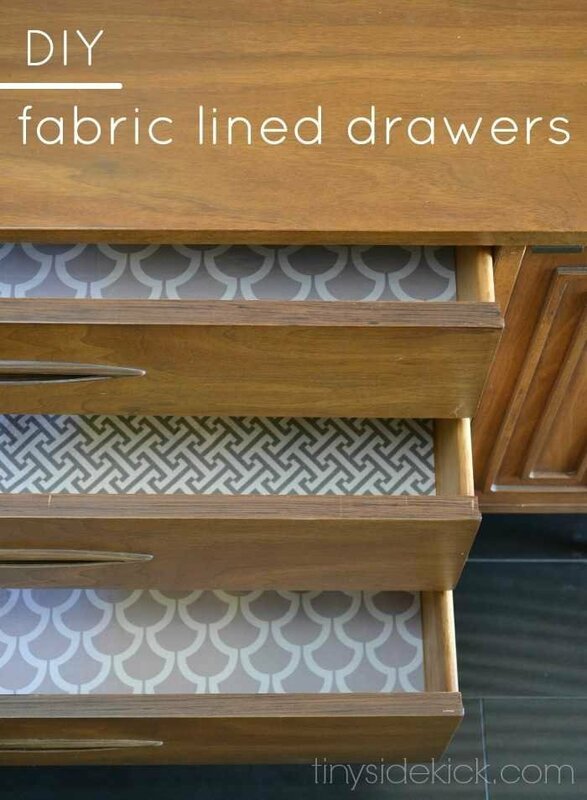 Love the idea of lined drawers with fabric, I am selling my home and this will add a nice touch. Now I won’t be embarrassed to “open” up drawers. I love your Buffet, where did you get it? I’d LOVE to try this in my daughter’s room!! Thanks for sharing at this week’s Monday Funday Party! I have it on my list of things to do in my daughter’s room too. Any chance I get to use fun fabrics in her room is great! I absolutely LOVE this Corey! 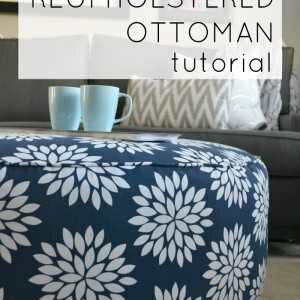 I will definitely remember this next time I redo a piece of furniture! This is the neatest idea. I love your bit about, “who sees it? I see it!”. I soooo get that. It’s so important to do things around your home that are FOR YOU. This is awesome! Thank you! I pinned it! I’m co-hosting a link party on my blog tomorrow if you want to share there! Such a good idea–endless possibilities! I know right! I keep thinking that I might just need fabric everywhere! Such a great idea! 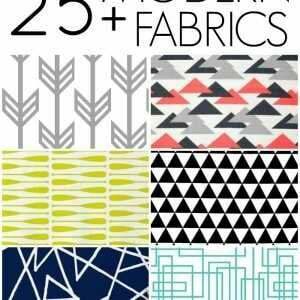 And, such cute fabrics — love it! That is such a cute idea, Corey! I have most of my kitchen drawers lined with that Rubbermaid stuff & like it, but it shifts like crazy & ends up getting bunched — I so don’t like that! May have to give your idea a try! I wonder if spraying the solution of water and mod podge with a mister bottle would work. 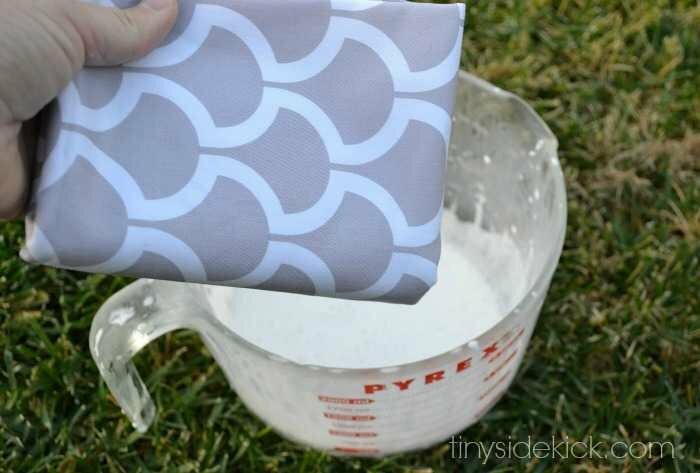 If it works, it would make it easier to keep fabric from wrinkling. Hi Lisa. I’m not sure if that would work because the fabric has to be soaked all the way through in order to get it to be stiff. The iron on the steam setting seemed to work pretty well to get the wrinkles out. Let me know if you try it with the spray bottle. I’d love to know if that works!